Posted on September 9, 2015 by Steph Wilson. If you missed unveiling last month, You can check out the pictures below and on our flickr page. 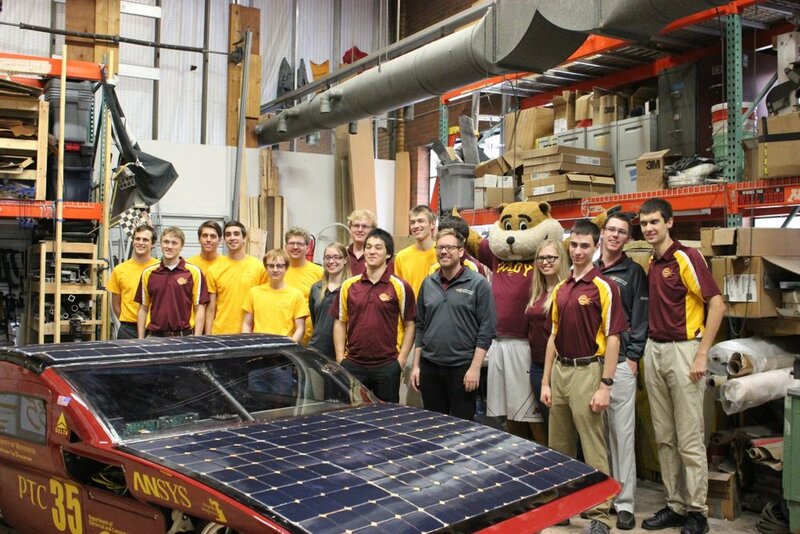 The team poses with Goldy in front of Eos. The team dropped of Eos at the shipping yard a couple of weeks ago. The car is now on its way to Adelaide in preparation for the World Solar Challenge. The team is one of 12 cruiser class vehicles, and 1 of 7 teams from the US signed up for this years race. We are still the first and only US team to compete in cruiser class. Team members fly to the land down under starting next week. Check back for updates as we prepare and compete in the race. 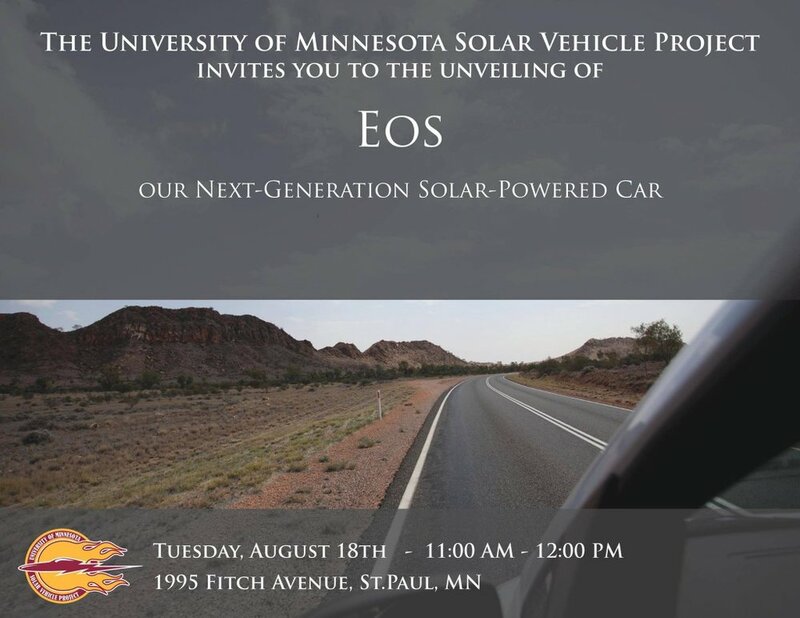 Eos is the teams first car with side doors.